Looking for Confederated Tribes of Siletz Indians’ (CTSI) member owned and/or operated businesses? The Siletz Tribal Business Directory serves as a centralized location for Siletz tribal members, non-tribal members and businesses alike to search for and contact every Siletz tribal member business in one location. Whether you are looking for a contractor, artist, RV Park or Print Shop you are able to search by location, business type or simply browse through businesses owned (1-100%) by CTSI members. Part of the Directory’s mission, developed by the Siletz Tribal Business Corporation, is to help facilitate the development of Siletz Tribal Business Entrepreneurs, whether they want to start a small business or already own a large business or want to improve their credit score. By fostering new entrepreneurs and providing tools to existing entrepreneurs, the Siletz Tribal Business Corporation is better able to partner with Confederated Tribes of Siletz Indians’ (CTSI) membership to foster and develop the tribal economy through marketing, education, other business awareness and collaborative partnerships. We are a verified Service-Disabled Veteran-Owned Small Business, 100% Siletz Tribal Member owned multi-purpose Contracting and facilities maintenance company. new construction, remodels and repairs for Private, Public, Federal and State clients. contracts and flexible in our approach. up to our Project Director, who will ensure that what we promise is what we will deliver. 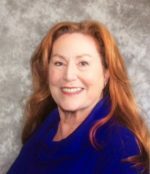 Cynthia K Farlow, Licensed Real Estate Broker # 201213909, represents sellers and buyers for commercial and residential real estate transactions. 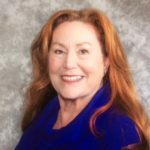 Cynthia has also worked for the Siletz Tribe as the Property Management Specialist for the Siletz Tribal Business Corporation.